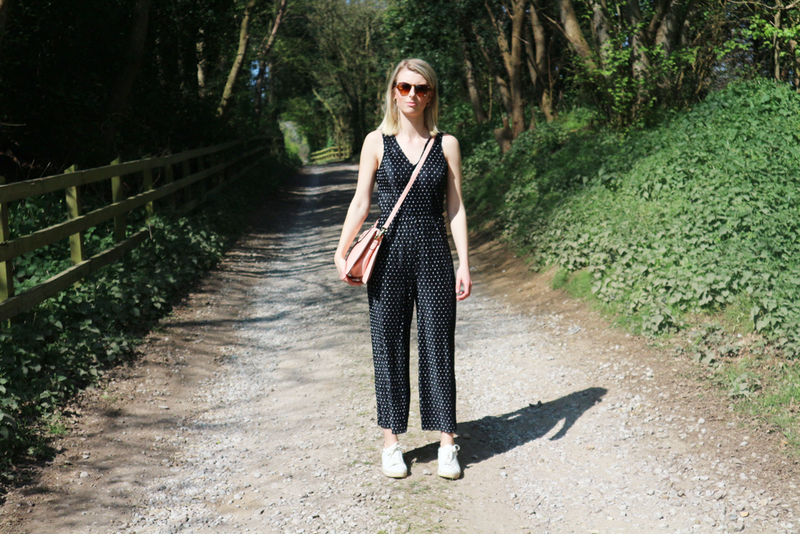 This is the perfect spring/summer jumpsuit! I can feel jumpsuits soon becoming a wardrobe staple of mine, especially those that are as comfy and easy to wear as this one. I picked it up for just £15 from Boohoo on a whim, and I’m so glad I did! Styled down with my white trainers which are always on my feet at the moment, it’s the perfect day wear. All I need now is a summer tan..